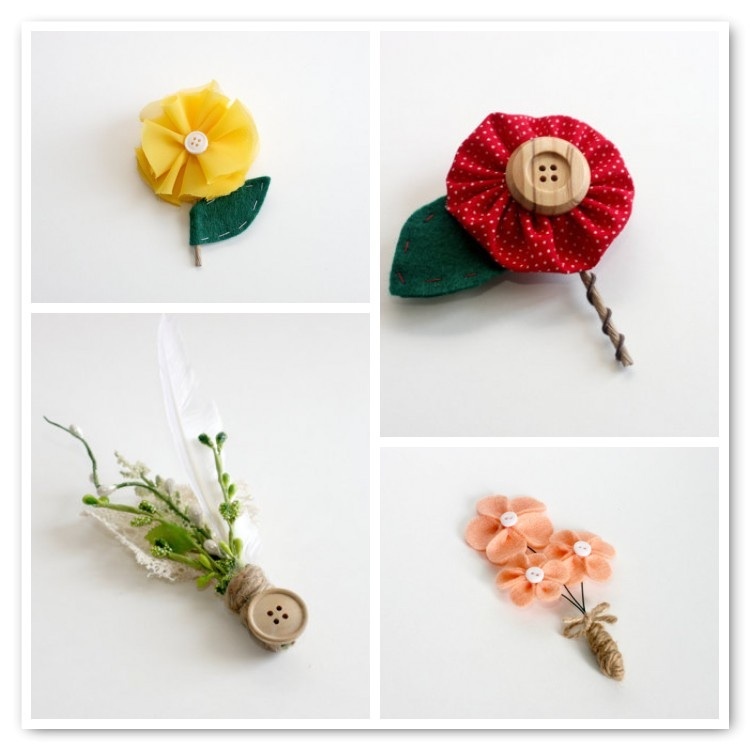 The Short and the Sweet of It: Boutonnieres. Have you ever thought about boutonnieres made from felt and buttons? I stumbled upon this adorable Etsy shop and am pretty much in love with all of the designs. How about you...would you stick with fresh flowers or go with something a little less traditional? I've seen these before and I think they would be adorable for the right wedding to fit with the theme. We went with flowers but I added feathers with them as well, to give it the punch and glam. Those are so adorable!!! I especially love the bottom left one! so cute ! have you seen my new post ? these are too cute!! i wonder how my prom date would've felt about receiving one of these instead of an actual flower? haha! So adorable! I want one!